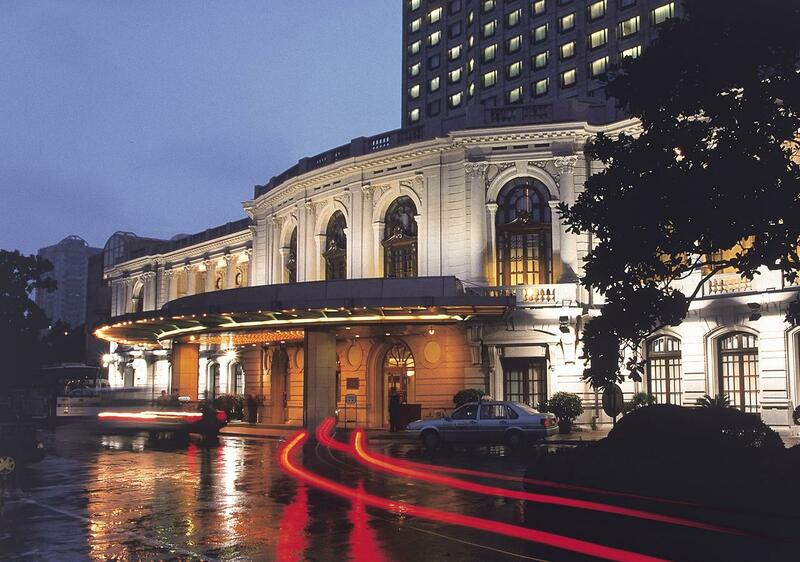 Historic hotels in Shanghai represent the city’s heyday nearly a century ago. At that time, Shanghai was perhaps the most exotic, controversial and colourful city on the planet. Many European styles of buildings were built in the former French concession as well as the international settlement area. Some of them were private buildings while others were hotels. Today, some of those private buildings have transformed into historic hotels in Shanghai. The historic hotels in Shanghai described in this post are all located in the city centre, near major sightseeing. Metro or public transportation are nearby. 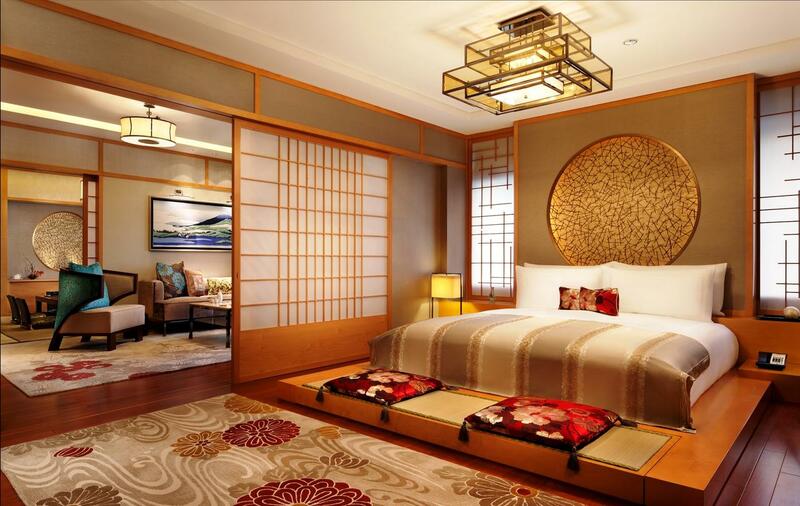 To stay in one of those historic hotels in Shanghai is a way of time traveling into the city’s history. These buildings are also like historical books, telling visual stories from old Shanghai. 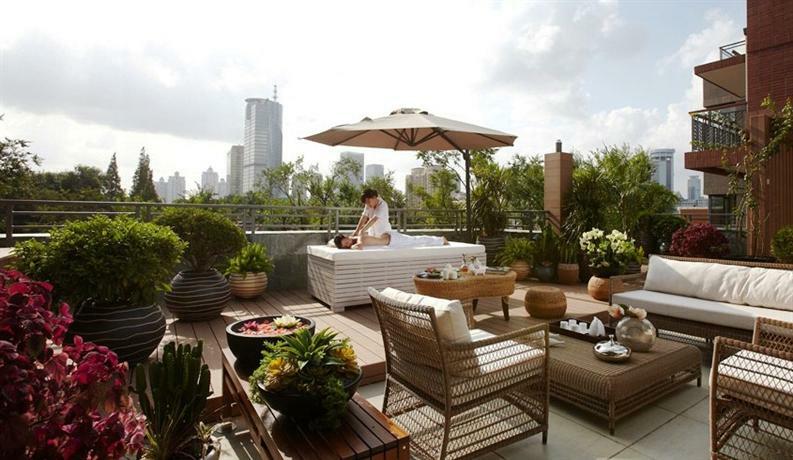 In recent years, Shanghai has built many ultra modern and luxury hotels. The price per night is even much higher than those of historic hotels in Shanghai. Therefore, from travelers point of view, to stay in one of those historic hotels in Shanghai is the best way to combine culture travel and luxury experience. By all means, these hotels are all worth blowing your budget on. Each of the following hotels has a lengthy story to tell. Those hotels have also kept many historical materials and things to inspire guests a journey through history. Originally, the French architect Lafayette designed the hotel in 1932. It used to be the clubhouse of gangsters Du Yuesheng and his partner Huang Jinrong, where their major deals were handled. The entire architectural style is a fusion of Classic French and Asian architecture. It reflected not only the social status of the elites at that time, but also a rich historical and cultural atmosphere. More than 300 pieces of 100-year-old antiques, including artifacts and photographs, attest to the exotic past of the neoclassic villa. 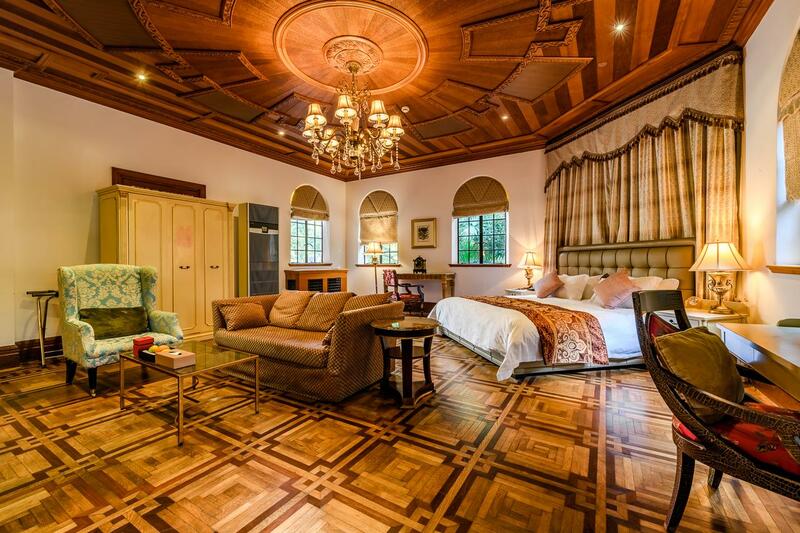 It features with antiques, dark and waxed wood, and high ceilings. Some rooms with balcony have views over the Russian Orthodox church. Guests can book the honeymoon suites. The hotel is also near the area’s well-known clubs and pubs. The hotel has 30 rooms, each of them is individually decorated. The High Tea in the Mansion Lobby and the rooftop restaurants are something that you can feel the past glory of the clubhouse. You’ll find this hotel at Hotels Combined and Booking.com. Take Metro line 1 and exit at South Shanxi Road. Then turn left on Xin Le road until the crossing of North Xiang Yang Road. South Shanxi Road Metro Station is 400 metres away. And, Changshu Road Metro Station is 600 metres away. The area bounded by Fuxing Road to the north, Si’nan Road to the west, and Chongqing Road to the east, includes a group of European-style villas dating from the early 20th century. The villas have been renovated or redeveloped. And, most revamped villas now host house restaurants and bars. Shaded by tall plane trees planted by the French authorities 100 years ago, this is a pleasant area to stroll and perhaps stop for a coffee and cake. Some of the villas in the group are now Hotel Massenet (“Sinan Road” was formerly “Route Massenet” in the French period.) The hotel integrates the luxurious architecture with all the necessary comforts. Complimentary private parking, a safe deposit box, and a cash machine are available for convenience. You’ll find this hotel at Hotels Combined. Take metro line 10 and exit at Xintiandi metro station. Then walk around 700 metres toward the west. This is one of the other historic hotels in Shanghai. Built in 1934, designed by the Hungarian-Slovakian architect László Hudec, the 83.8 metres tall building was the highest building of Far East in the 1930s and 1940s. It remained the tallest building in China until 1966, and in Shanghai until 1983. The hotel was built overlooking the horse racing course owned by the Shanghai Race Club. Besides, it was one of the most prestigious locations in Shanghai at the time. 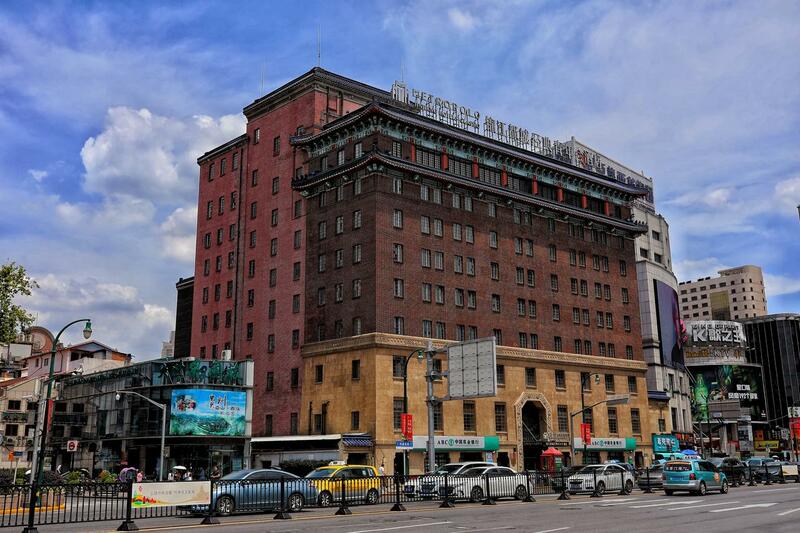 Many famous people stayed in the hotel in its heyday, Madam Song Qinglin and the United States Secretary of State Henry Alfred Kissinger were among those VIPs. It was also the geographical centre of old Shanghai. There is a mark inside the hall to mark the geographical point. Today, the renovated hotel resurrects the European and American Art Deco construction style. This 15-story hotel offers 250 guestrooms and suites. All rooms feature upholstered armchairs, dark-wood armoires, and neutral colour schemes. You’ll find this hotel at Hotels Combined and Booking.com. Take metro line 2 and exit at People’s Square. Walk out of the subway station at gate No. 10. The hotel is about 190 metre away. Built in 1936 by Eric Moller, a Swedish shipping magnate, the distinctive design includes brown-tiled Gothic and Tudor gables, spires, and steeples. The unique northern European style building looks just like a Christian Andersen’s castle in the fairy-tale world. It integrated with the oriental architecture and western architecture. The uneven walls form the unique architectural appearance, and the well-arranged colorful firebricks look like a beautiful dress on the building. More over, Moller Villa has a garden covering an area of about 2000 square meters. The hotel has 43 luxury rooms and suites decorated in authentic European-style. It also features the famous restaurants and bars to provide guests with world-class cuisines. You’ll find this hotel at Hotels Combined and Booking.com. Take metro line 2 and exit at West Nanjing Road Subway Station. Or, take metro line 1 and exit at South Shaanxi Road Subway Station. It is about 10 minutes walk from the subway station. Peace Hotel has two building, the North Building and the South Building. The South Building was built as the Palace Hotel in 1854. But today, it is the Swatch Art Peace Hotel and the residence of artists from all over the world. The construction of the North Building known as Sassoon House, today the Fairmont Peace hotel, started in 1926. It used to be the Cathy Hotel. It features the distinctive copper-sheathed roof that rises 77 meters above ground, 83 meters to the spire, white Italian marble floors, and priceless Lalique glass artwork. 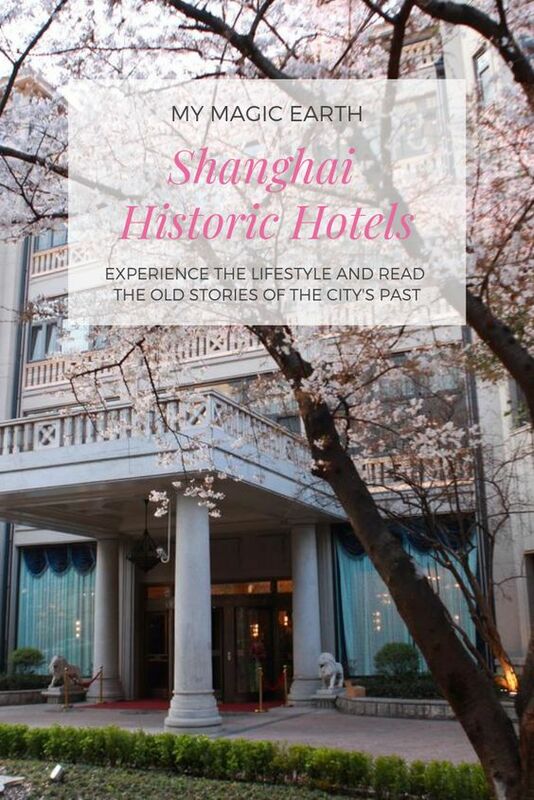 The hotel is perhaps one of the most famous historic hotels in Shanghai. 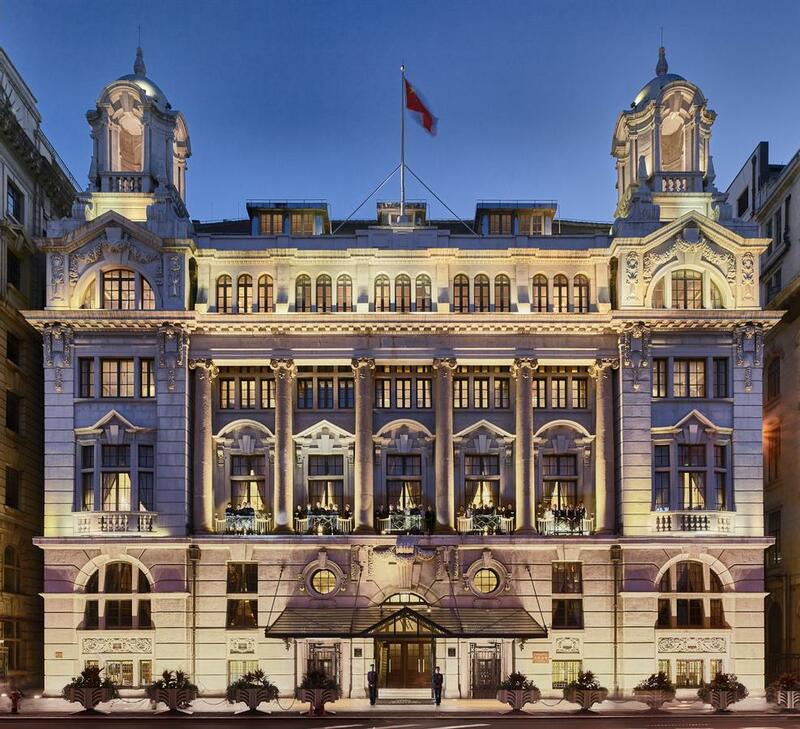 Needless to say, Fairmont Peace Hotel is Shanghai’s legendary landmark in the heart of the Bund, enjoying a premier location on the Bund, facing the Pudong area over the Huangpu River. In history, the hotel welcomed VIPs from all over the world, including politicians, financiers, entrepreneurs, important Chinese officials and celebrities, such as General Marshall, Charlie Chaplin and Bernard Shaw. 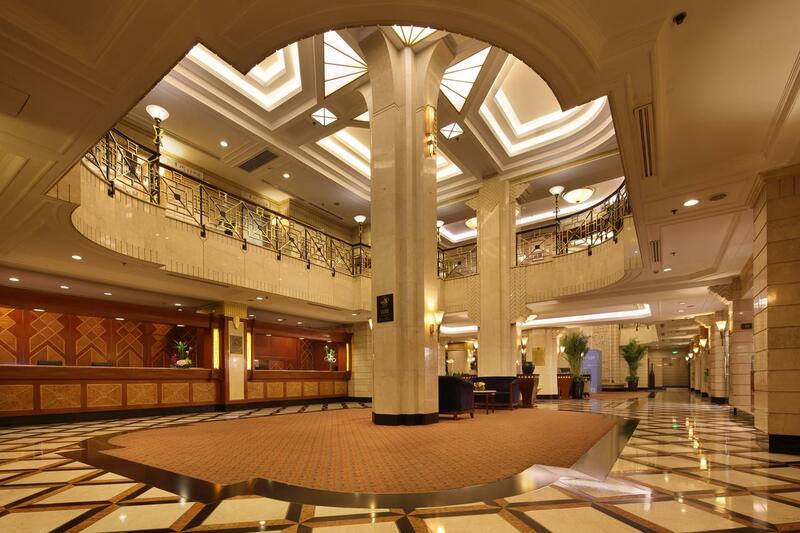 Among other historic hotels in Shanghai, Fairmont Peace Hotel represents the heydays of old Shanghai. 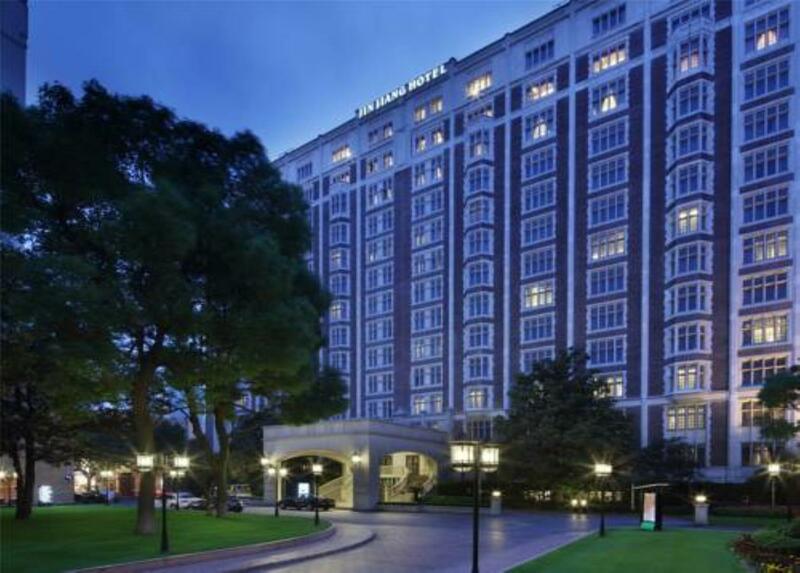 in 2010, after an extensive restore the hotel reopened as the Fairmont Peace Hotel Shanghai. It offers 270 deluxe guestrooms and suites with a selection of six restaurants and lounges, such as a wine and cigar bar. 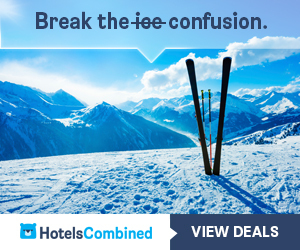 You’ll find this hotel at Hotels Combined and Booking.com. Take metro line 2 or line 10 and exit at East Nanjing Road Station. It is 5 minutes walk to the hotel. Part of the hotel was the former French Club with full Parisian style. Compared to the other hotoric hotels in Shanghai, Okura Garden Hotel is less famous, but it features the Grand Ballroom on the second floor, which was known as the No.1 ballroom of the far-east, with the largest dome ceiling and spring floor. The ceiling in the center of the dome is embedded with large sheets of colorful glass, the oval dance floor in the center of wooden floor sinks by 20 cm. Two arched pavilions were removed to give the space needed for the building in 1949. In 1959, a copy of the old pavilion was established in the center of the garden. The white pavilion stands out in its elegant status and merges romantically into its surroundings. Nowadays, the pavilion is a popular place for garden weddings. You’ll find this hotel at Hotels Combined and Booking.com. Take metro line 1 and exit at Shaanxi South Road Station. The hotel is 650 metres away from the subway station. The hotel compound was formerly the Benjamin Morris family’s estate. The compound is comprised of four houses, numerous outbuildings and ornate gardens covering almost 100 acres. The Morris family owned the oldest English-language newspaper in China, the North China Daily News. In the 1920s, Mr. Benjamin Morris built the No.1 Building, featured the grand oak staircase, marble columns and flooring, and the oak-paneled walls of the entire ground floor. Many famous people had stayed on the hotel premise. For example, in 1927, Chiang Kai-shek and his wife stayed in the hotel after their engagement. Their room is well-kept in the original status. Most rooms have a plaque displayed outside, showing the names of the famous individuals who had stayed. The European architectural styled hotel features a sunbathing terrace, an indoor heated pool, and an outdoor swimming pool. It offers 238 modern rooms. You’ll find this hotel at Hotels Combined and Booking.com. Take metro line 9 and exit at Dapuqiao subway station. Then, walk 900 metres to the hotel. Originally owned by Victor Sassoon, Jinjiang Hotel includes three buildings, the 13-storey Cathay Mansion apartment building completed in 1929, the 18-storey Grosvenor House apartment building completed in 1934, and a three-storey side wing of Grosvenor House. The name “Jinjiang” derives from a restaurant opened in 1935 by female entrepreneur Dong Zhujun in Hongkou district, Shanghai. In 1951, the new government took over Cathay Mansion and converted it into a hotel. Since then, the hotel has hosted senior party officials and more than 300 state leaders. 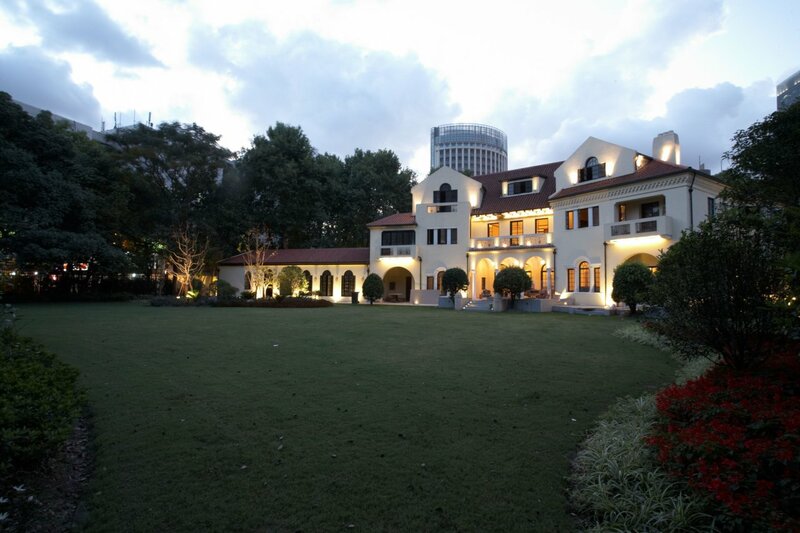 It is one of the historic hotels in Shanghai that frequented by many VIPS from all around the world. Dong’s restaurant moved into Cathay Mansion, the hotel was named “Jinjiang Hotel”, and Dong became the hotel’s first chairman. The classic international and Asian cuisines of the restaurant that was popular at that time are still highly praised, according to a New York Times reporter. Today, the three elegant European-style buildings offer 515 guestrooms equipped with modern facilities including broadband Internet access and TVs with traditional furniture and decor. You’ll find this hotel at Hotels Combined and Booking.com. Take metro line 1, line 2 or line 8 and exit at People’s Square Subway Station. It is about 2 minutes walk. The history of the YMCA dated back to 1844 when Englishman George Williams founded the international organization. In 1900, a group of Chinese elites and sponsors, including diplomat Yan Huiqing and the prominent businessman Charlie Song, father of the famous Song sisters, established the YMCA in Shanghai. Completed in August of 1931, the nine-story Chinese YMCA Building was the first Chinese architecture incorporated the traditional elements into a tall building, a so-called Chinese Renaissance Style. The precast artificial stone ashlars are used for the base of the building, and Taishan red face bricks are used for the upper part of the building. Pillars and beamed ceilings, stone staircases, latticed window work and the usual Chinese roof of glazed temple tiles are constructed in harmony. Most of the historic features in the building have been well preserved. Nowadays, Chinese YMCA rents out most of the building to the Jinjiang Metropolo Classiq, a boutique hotel. The hotel features 142 rooms and suites. Compared to the other historic hotels in Shanghai, the Metropolo Classiq is more or less a middle-range hotel, but with a prime location. You’ll find this hotel at Hotels Combined and Booking.com. Take metro line 8 and exit at Dashijie subway station. It is about 2 minutes walk to the hotel. Designed in the 1930s by Mr. L.E.Hudec, a famous Austro-Hungarian architect in Shanghai, the hotel brings a noble and elegant atmosphere to the guests. The typical Spanish-style building features the red roof, white wall, spiral pillars, cement decorations, dazzling crystal chandelier, iron railings, and traditional lobby fireplace. It is the historical heritage that witnessed the prosperous of Shanghai. The hotel is surrounded by a lovely garden. There are 70 superior guest rooms of different styles with luxury and comfort. Some of those rooms have own balcony. In the main building, there are also Chinese-style dining room, Western food dining room, banquet room, and the multi-functioned hall in different sizes. Shanghai Fenyang Garden Hotel is located in former French Concession of Shanghai, adjacent to Shanghai College of Music. You’ll find this hotel at Hotels Combined and Booking.com. Get off at subway station South Shanxi Road. It is 700 metres to the hotel. The Shanghai Donghu Hotel is a charming garden-style business hotel located in the heart of Shanghai’s former French Concession. Situated between the shopping street Huaihai Middle Road (淮海中路) on one side and the charming restaurant street Donghu Road on the other side, the Donghu Hotel enjoys easy access to some of the city’s most eclectic bars and restaurants. 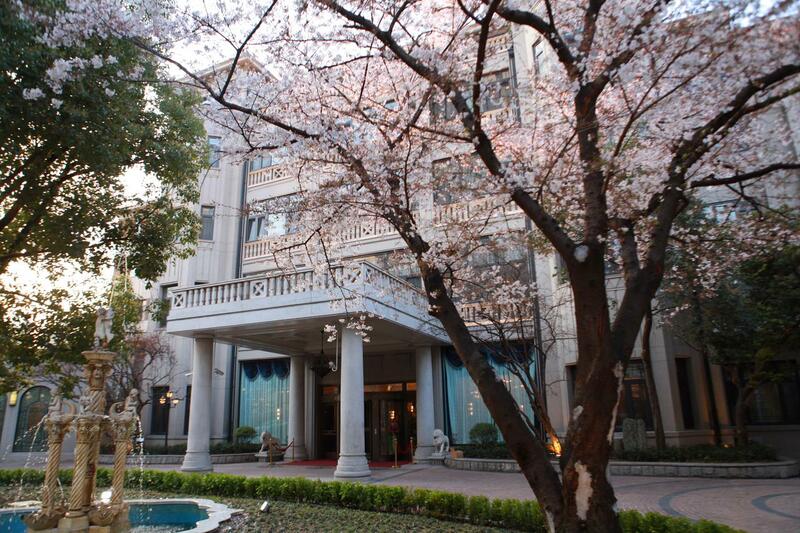 Shanghai Donghu Hotel is a charming garden-style hotel. The hotel has 7 buildings constructed in different years and styles. The main building (No. 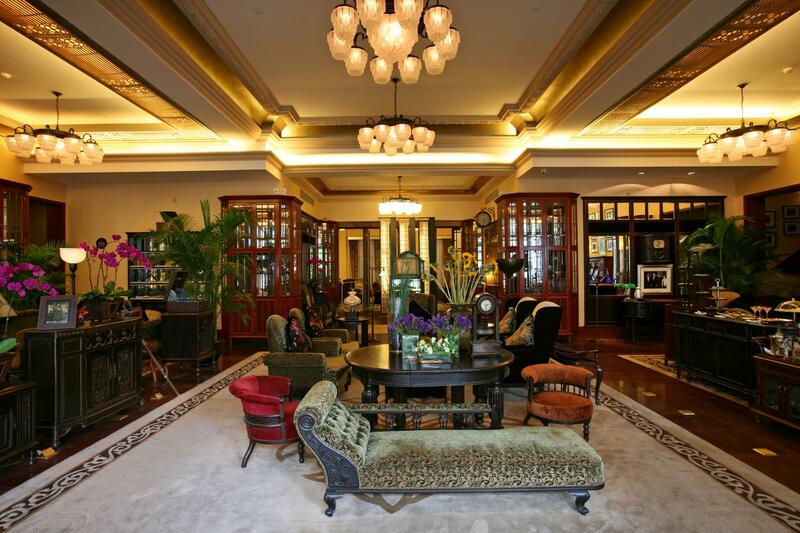 70 Donghu Road) is the residence of the old Shanghai tycoon, Du Yuesheng. It was used by Sino-French Bank, Bank of Communications and the US General Consulate. In the main building of the hotel, pillars with colourful paintings, and dazzling antiques, provide guests a rich cultural atmosphere. Mahogany Furniture from Ming and Qing style presents the luxurious lifestyle of old Shanghai. 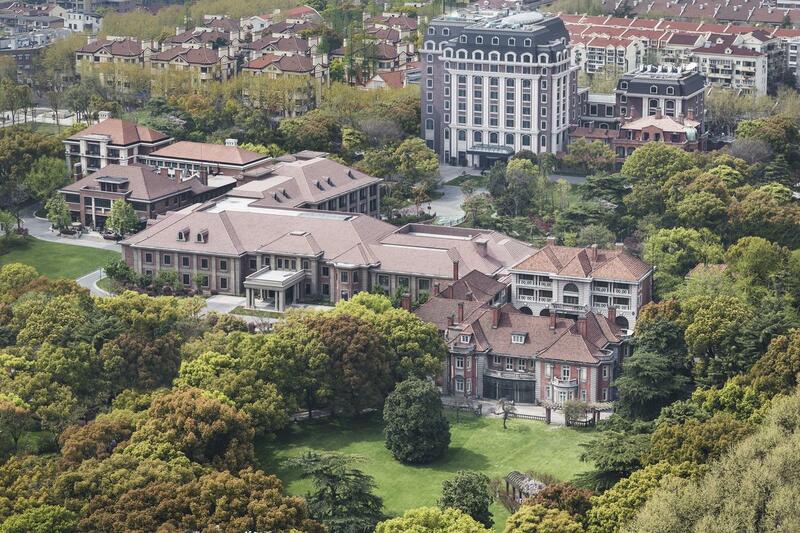 Altogether, this Shanghai hotel houses over 271 rooms and seven different types of villas. The Chinese and international breakfast buffet is very popular among guests. One Korean restaurant and three Chinese restaurants specializing in Shanghai, Guangdong, Cantonese, and Sichuanese cuisines are also on-site. You’ll find this hotel at Hotels Combined and Booking.com. Take metro line 1, line 10 or line 12 and exit at South Shaanxi Road Station. It is about 7-min walk or 500 metres to the hotel. The Shanghai Club was the principal men’s club for British residents of Shanghai, the Shanghai Club Building. The current building was opened in January 1910. The total building ground is 1,811 square metres, while the total floor area is 9,280 square metres. The building’s main facade uses a tripartite design and the middle section featurs six Ionic columns. The roof section of the facade has two symmetrical Baroque-style cupolas, with intricately carved details. The architect was H. Tarrant, and the interior designer was Japanese architect Shimoda Kikutaro (Japanese: 下田菊太郎). The most famous feature of the interior is the 34-metre black-and-white marble bar, called the Long Bar. Interestingly, it was notable from 1990 to 1996 for hosting the first KFC restaurant in Shanghai. It was until 2009, the Hilton group leased the building and converted it to the Waldorf Astoria Shanghai on the Bund, a luxury hotel. You’ll find this hotel at Hotels Combined and Booking.com. Take metro line 2 or line10 and exit at East Nanjing Road Subway Station. It is about 1 km distance to the hotel. As the Hotel is just next to the Bund, it is also quickly reachable by car. I have never been to Shangai! 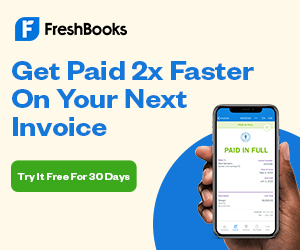 but this post definitely helps which HOtels to choose from! These hotels look amazing. Great pictures. A friend of mine is visiting Shanghai next month I will share this with him. Wow! These hotels are gorgeous! Shanghai is on my list for summer 2020, will make sure to visit one of those Hotels, as an Architect I’m sure I’ll enjoy the ancient art and the history behind those buildings. That cherry blossom tree is beautiful! I’ve never been to Shanghai but it’s still on my bucket list. I will keep your recommendations in mind. Great post!